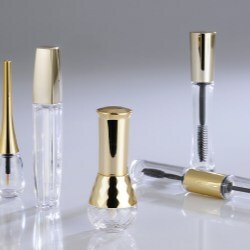 Yuen Myng provides selections of PET and PCTG bottles for color cosmetic packaging. Give your brand's make-up collection a makeover! 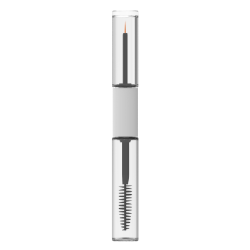 Brands can choose the appropriate applicator with Yuen Myng's dual end make-up containers. 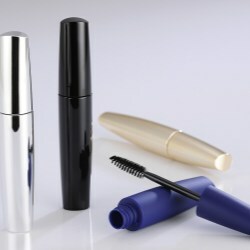 These containers offer 2 different sized bottle capacities which are idea for combo beauty products such as eye liner with mascara, or lip stain with lip gloss. 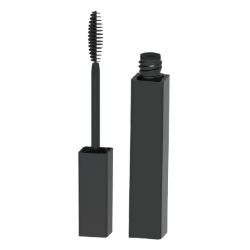 PET bottle mascara packaging for color cosmetic make-up collections. Make sure that your mascara make-up collection is made by Yuen Myng! Square make-up bottles offer the consumer an easy grip for more precise application of colour cosmetics. Take a look at a selection of Yuen Myng's square bottle options which can be decorated using a variety of techniques. 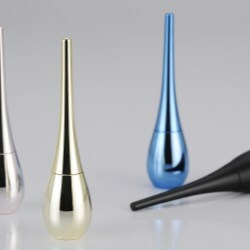 Yuen Myng offers a stylish selection of eyeliner packaging options in petite PP plastic bottles.